Admittedly, this is an old quote, but I still love it to this day. "It's frankly time to put the big-boy pants on . 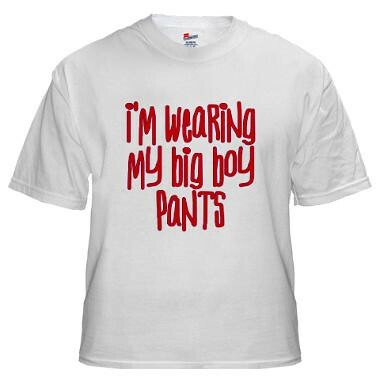 . . "
And just so you know, I am indeed wearing my big boy pants.